Building from the foundation of the beginner classes 1-4, students in this 2 session course will be given two sessions back to back in the hot shop to develop their skills and continue to grow their bubbled forms. Part 5 focuses on that critical ‘punty’ step. The process of transferring a bubble from one pipe to another will allow you to work from its lip and open the piece to create smaller forms such as dishes and small vases. Part 6 is the last class of the series and will focus on going BIGGER! Upon completion of this course students have the opportunity to join the community and become a renter at Flo. 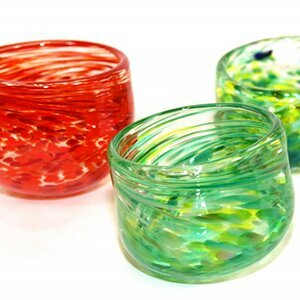 This entry was posted in glassblowing and tagged Intermediate by Admin. Bookmark the permalink.